For decades the only way a message could get from your house to the authorities was via the good old-fashioned telephone line. Many people had home security systems in the 1980s and 1990s, for example, that were directly hard-wired to their phone lines. If and when there was a fire, an intruder or a problem with something like carbon monoxide, devices would utilize the phone line to connect with and alert authorities for help. Some systems still utilize phone lines. The problem with phone lines, though, is that service can be disrupted due to weather and natural disasters. For instance, if an earthquake occurs, or a massive winter storm rips through your part of the state, phone lines might not work for quite some time. Other problems that mess with phone line service include heavy winds and major flooding. It’s great to have hard-wired systems with soldered connections– they are reliable and least prone to false alarms. But they can fail when something goes wrong in the town or city where you live. As stated earlier, phone lines are not perfect 24-7-365. Sometimes they don’t or won’t work! If you’ve got an emergency and/or an alarm has gone off, how then would your security company or local law enforcement officials get the message that you need assistance? 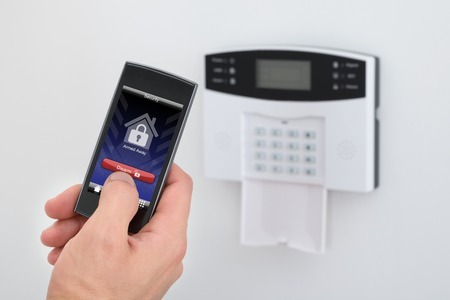 Simply put, you should always have backup communication channels available for your security system. Besides hard-wired phone lines, consider using wireless long-range radio, cellular networks and/or broadband Internet “just in case.” This way, if your phone line is “down,” your security system is still “up” thanks to your backups smartly put in place just for that reason. Why should you ultimately have a long range radio backup system? If phone lines get cut (deliberately or accidentally), or phone lines don’t work (for whatever reason), you can have peace-of-mind knowing your security monitoring company will still receive alarm signals thanks to the radio transmitter. Some insurance companies require this, and that’s a good thing– plus, it might actually reduce your insurance premium, so that’s a nice bonus. NYCONN Security Systems can help you figure out what you need; please call 800-783-5004 for information.